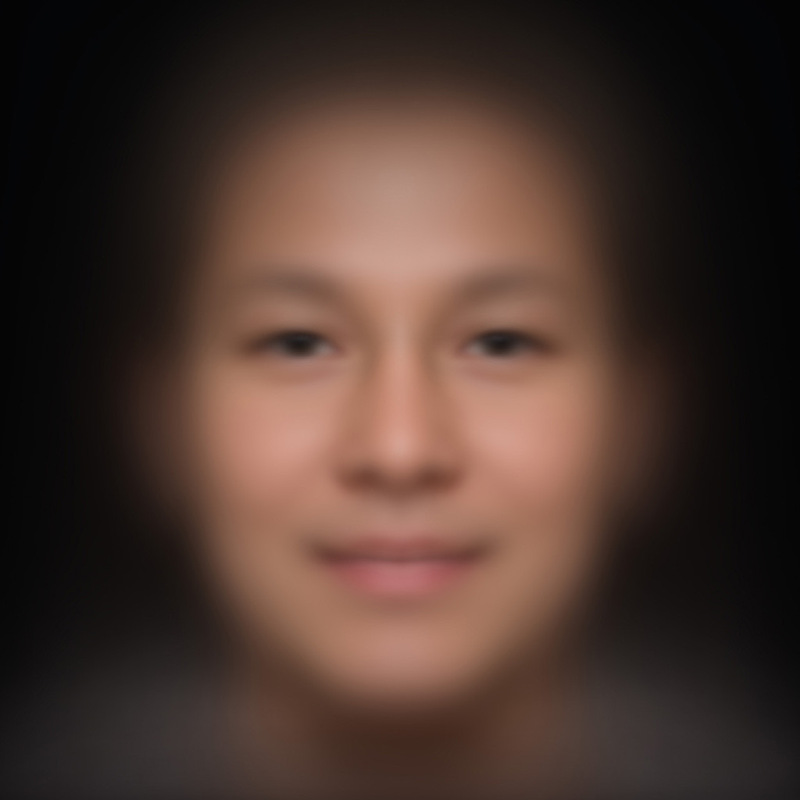 This portrait was calculated from more than 3,300 individual photographs of people who were photographed by the artist in a lifelong project in China. Croatia, Finland, France, Germany, Indonesia, Ireland, Japan, Korea, Luxembourg, Spain and Zambia. The related software he developed together with students of the IF Lab, a division of InterFace AG, Unterhaching, Germany. The project is not yet finished; it will give further explorations in other countries around the globe. With this work, the artist tries to find out more about who we are. The social media artist works with photography, video, installations, and performances. Many of his works are of a participative nature; the audience, guests, passers-by, and visitors share in the artistic process. One of the essential themes of his artistic work is the question concerning the relationship between the individual and the collective. He pursues this question in both a national as well as an international context. He participated in numerous German, European and international exhibition projects and festivals.